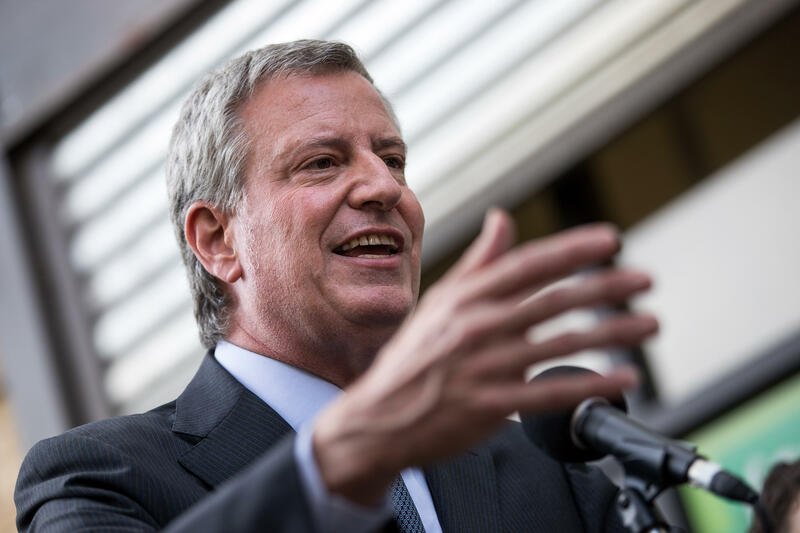 Newly released emails show that a lead paint problem in New York City's public housing apartments was more widespread than Mayor Bill de Blasio had said publicly, CBS station WCBS-TV reported Monday. The revelation sparked outrage from community advocates. Last November, de Blasio said four children living in the city's public housing apartments had tested positive for elevated lead levels between 2014 and 2016. The mayor made the comments amid a scandal that the New York City Housing Authority had failed to conduct mandatory lead paint inspections between 2012 and 2016. Emails released by City Hall show that de Blasio was told a day before announcing that four children had tested positive that there were actually more cases, WCBS-TV reports. In an email, aide Wiley Norvell told "B" — an apparent reference to de Blasio — that there were 202 cases across 133 apartments, according to WCBS-TV. A City Hall spokesperson told the station that those cases were from between 2010 and 2015. The City Council is investigating the public housing agency's lead-safety program. WCBS-TV reported that the email revelation angered Councilman Ritchie Torres, D-Bronx, who chairs the Committee on Oversight and Investigation. "It's a mockery of transparency, and if you cannot be trusted to tell the truth about something as critical as lead safety then what can you be trusted to tell the truth about?" Torres told the station. Danny Barber, who represents public housing tenants, called de Blasio a liar. "He lied," Barber told WCBS-TV. "He outright lied, and if it was anybody else that lied they would be locked up or put into jail, so we're tired of it, and the mayor should be held accountable," Barber told the station. Community advocate Tony Herbert echoed Barber's reaction. "It was very deceitful first and foremost," he told WCBS-TV. "It was only to protect his image so he didn't get any bad marks against who he is on his national agenda that he set."